Often praised as the cleanest and safest city in Africa, Windhoek has its share of social problems nonetheless. The income gap continues to be very pronounced, unemployment is high and the battle against the raging HIV/AIDS epidemic is on-going. 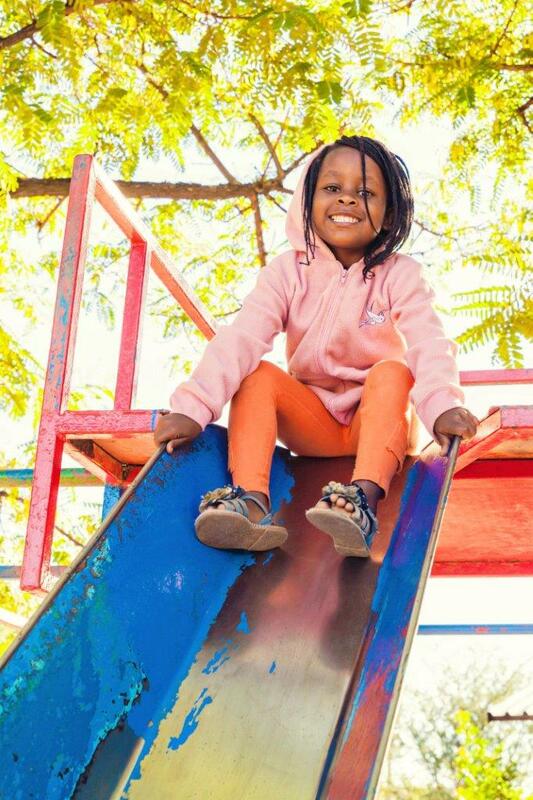 Little girl growing up in SOS Children's Village Windhoek (photo: SOS archives). Windhoek is the capital of Namibia and has a population of around 380,000. It is the biggest city in the country and the heart of all social, economic, political and cultural activity. It is located very centrally, at an altitude of 1,728 meters above sea level. Windhoek’s history of apartheid is still visible today and the city remains divided. In the 1950s, the city’s black population was driven from the historical parts of town and made to settle on the outskirts of the city. They called the area “Katatura” – the place where we do not want to live. Today, Katatura has over 70,000 inhabitants and is consistently growing due to the internal migrants who come here in search of employment and opportunity. Living conditions have improved in recent years, and electricity, running water and sanitation are now available to most. Some have even started calling the area “Matutura” – the place where we want to live. Nevertheless, unemployment rates continue to be extremely high, with some estimates as high as 80 per cent. This in turn leads to increasing levels of violence. Living conditions in other areas of Windhoek also continue to be problematic. The city is growing steadily at four per cent per year. Usually these migrants have no savings and find it difficult to get jobs. The city is finding it increasingly problematic to keep up with this steady influx of people. Namibia continues to be one of the most unequal countries in the world in terms of wealth distribution, and the phenomenon of “poverty amid plenty” is highly visible here in Windhoek. The wealthiest ten per cent of the population in Namibia receive over 50 per cent of the country’s total income, while the poorest ten per cent receive just over one per cent. Consequently, there are vast discrepancies between the opportunities children from different sectors of society have in life. Another severe issue affecting the population is Namibia’s extremely high HIV/AIDS prevalence rate – one of the six highest in the world. The virus continues to be the leading cause of death amongst both adults and children in the country. Anti-retroviral treatment has become more widely available in recent years but, as of 2012, there were already around 76,000 children orphaned by AIDS in the country. Learning together at the SOS Kindergarten (photo: SOS archives). 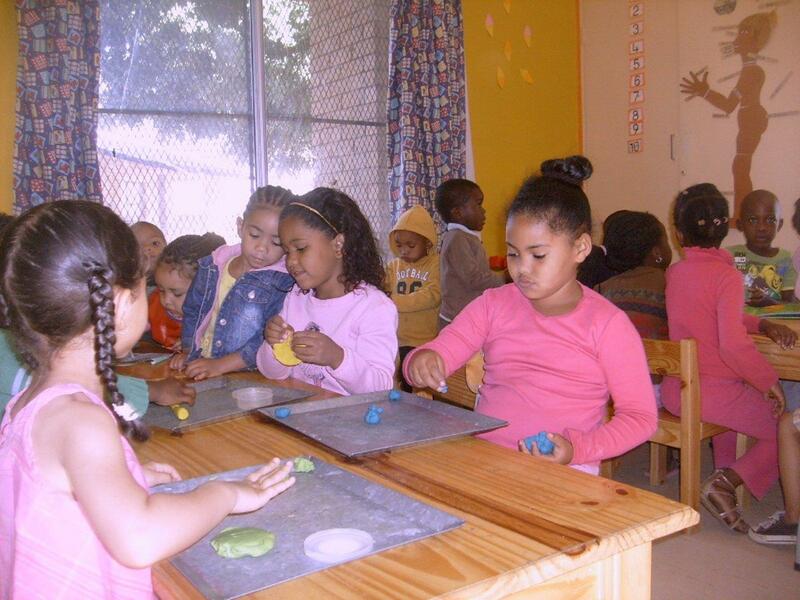 SOS Children’s Villages began its work in Windhoek in 1985 to help vulnerable children. Today, our social centre here offers a family strengthening programme to the local community. The programme supports families in providing food, clothing and shelter for their children, as well as ensuring that the children attend school and make progress in their learning. The SOS Social Centre also provides health services, counselling and psychological support, as well as care and support for families affected by HIV/AIDS. For children from the region who can no longer live with their parents, up to twelve SOS families can provide a loving home for up to 120 children. In each family, the children live with their brothers and sisters, affectionately cared for by their SOS mother. The children attend the SOS Kindergarten together with children from the neighbourhood. This ensures that children from SOS families make friends and are integrated into the local community from a young age. The children then go on to complete their primary education at the SOS Hermann Gmeiner School in Windhoek, which is attended by 500 pupils from the Children’s Village and the neighbourhood.